The Museum der Moderne Mönchsberg in Salzburg, Austria has collaborated with the Colby College Museum of Art in Waterville, Maine to present a comprehensive view of work by Alex Katz. Mostly drawn from the collection of over 700 of Katz’s works held by the Colby College Museum of Art, the exhibition also includes a number of paintings on loan from European museums and private collections. 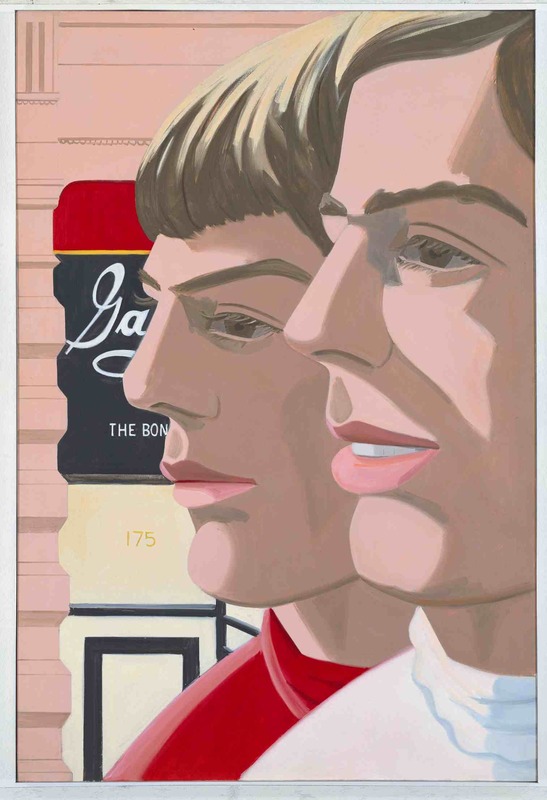 This major retrospective, entitled New York/Maine makes a comparison between the 2 places where Alex Katz spent most of his time living and working. A longtime New York native, Katz attended the Skowhegan School of Painting and Sculpture in the summer of 1949, where he was introduced to the landscape of Maine. In New York, where he had previously attended school, Katz was more concerned with the international avant-garde, particularly Abstract Expressionism. This was revealed in his attention to shape and technique, as well as concepts of openness, and the use of a large-scale format. Katz was less interested in the heavy, masculine aspects of this movement, and leaned more towards light, open and optimistic work. Katz was inspired, for example, by Cool Jazz, of which musicians like Dizzy Gillespie, Theolonious Monk, Chet Baker, Gerry Mulligan, Miles Davis, and Lester Young were major players. 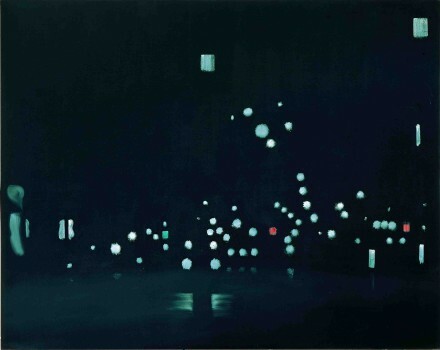 The musical aesthetic of “distanced elegance and cool efficiency” as defined by the MdM Mönchsberg, affected Katz as a painter, and inspired him to work at a technique that combined a light abstraction with the artist’s interest in space and field. 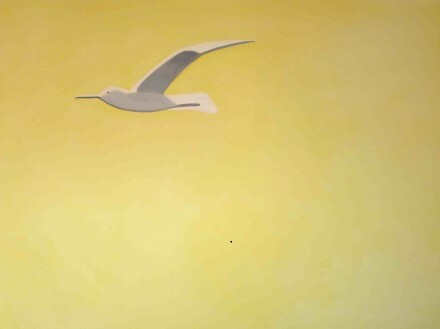 In Maine, Katz was attracted to the countryside, the slower pace of life and the clarity of light and natural elements. Combined with the seriousness and energy that he had already gained from his influences in Abstract Expressionism, his aesthetic gradually shifted towards his signature painting style. The results were flat, straightforward, figurative paintings meant to resemble jazz in their immediacy and clarity, unconcerned with any past or future narrative. 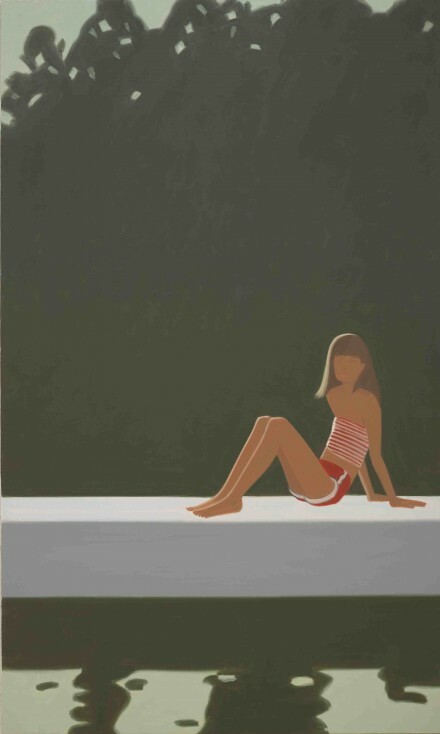 Like many other New York artists, Katz went on to spend many summers in the countryside of Lincolnville, Maine, and in 1954 he bought a home and studio there, to which he would return many times. He spent the rest of his life going back and forth between the two cities, which to him appeared to be polar opposites. 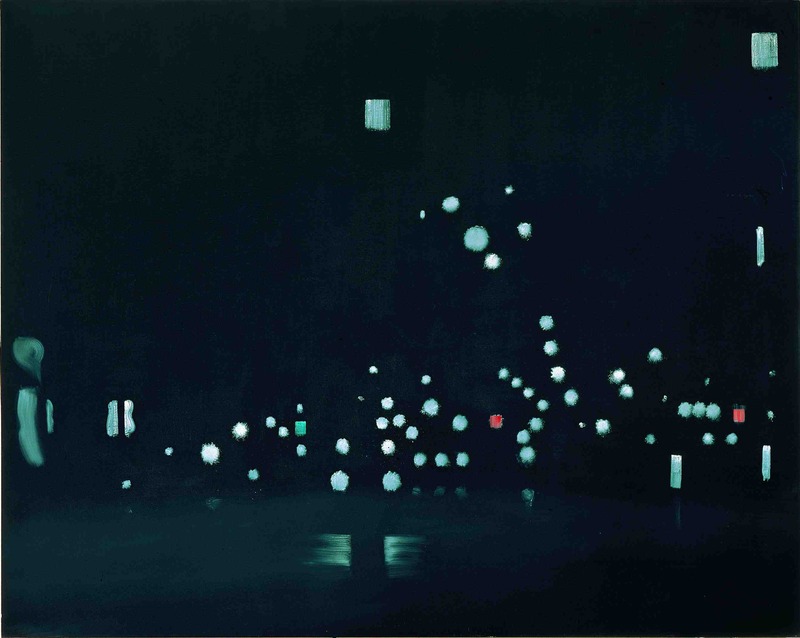 Half of the works in the exhibition illustrate New York cityscapes while the others represent his summers in the Maine countryside. Blending the influences of these diverse locations with his clean, calm style, Katz presented a body of work that spanned distances, and united the scenic locales of both the urban and rural into a cohesive whole. 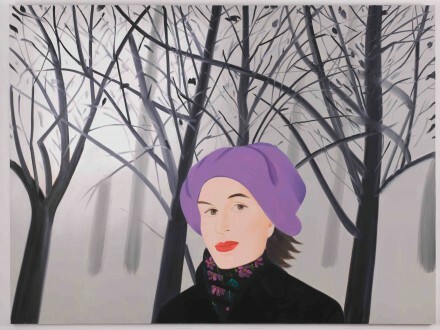 Along with the exhibition is a catalogue entitled Alex Katz. New York/Maine, which includes a variety of essays edited by Toni Stooss, available both in English and in German. The exhibition will continue through July 7th, 2013. 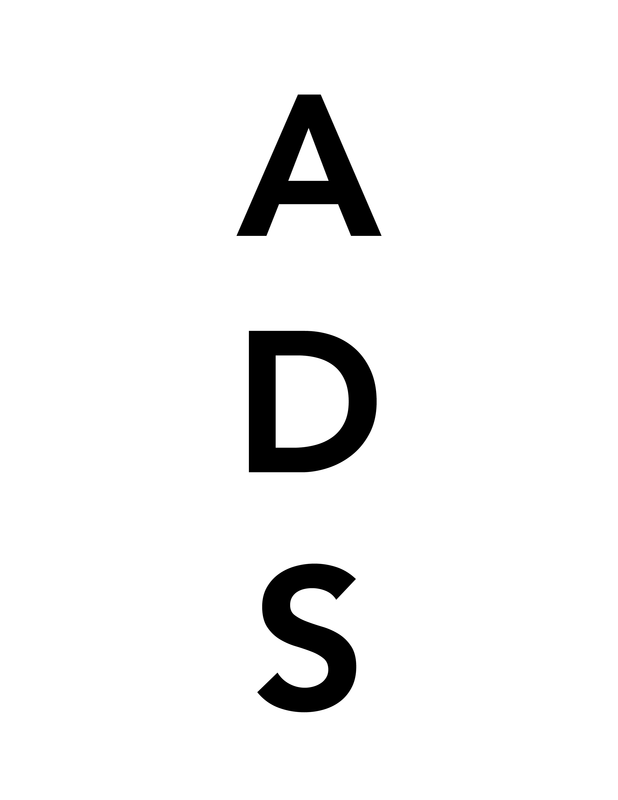 This entry was posted on Sunday, June 30th, 2013 at 2:02 pm	and is filed under Art News. You can follow any responses to this entry through the RSS 2.0 feed. You can leave a response, or trackback from your own site.